How Do I Connect My Desktop to the Nearby Wireless Internet WiFi Hotspot? - Ask Leo! I have a desktop computer that is not hooked up to the internet, nor has been. There is a WiFi hot spot down the street; since it is free I would like to be able to connect to it. What do I need to buy and do to get up and connected to it? You need two things to connect to that local hotspot. One you can probably buy at any computer store, but the other might be harder to come by. First, the easy part: you need a wireless network adapter. WiFi (802.11) adapters are pretty much standard equipment in laptops these days, but not in desktops. Since desktops aren’t (typically) mobile, it’s assume you’ll used a wired connection and thus include a wired ethernet adapter instead. You can add a wireless adapter to your system in several ways. An expansion card – Unlike laptops, desktops are designed with several slots for expansion cards, and wireless adapters are, indeed, available as expansion cards. In general, for a permanent installation, this is usually my first choice. A USB plug-in – Wireless adapters are also available as devices you just plug into any available USB port on your system. Many are small, convenient, and quite inexpensive. A wireless bridge – These devices plug into your existing ethernet connection and, effectively transform it into a wireless connection. This is probably my least favorite approach, only because it’s fairly uncommon, and I’ve had no direct experience with it. The bottom line is that getting your PC wireless-enabled isn’t that difficult. How far is “down the street”? WiFi hotspots are typically fairly small. The semi-official range of WiFi is about 300 feet, but even that can be seriously impacted by the characteristics of whatever else might happen to be between your computer and the hotspot. My strongest recommendation is this: before you embark on trying to get your computer connected wirelessly, make sure it’ll work first. Borrow a WiFi-enabled laptop, or borrow a friend with a WiFi-enabled laptop, and see if it can connect. There’s a good chance you may not even be able to see a signal, if “down the street” is anything more than a couple of houses over. While you’re at it, you might also use this as an opportunity to see if different locations in your home will get a signal, and if some spots get a stronger signal than others. The laptop will be much easier to carry around for that test than your desktop would be. After all that, if it does work, you should also get permission from the hotspot owner, since shop owners typically provide hotspots as part of their business, as a perk for their customers. But ultimately that’s a different topic I won’t get into further. A final caveat: if you’re using a public WiFi hotspot that’s unsecured, your internet traffic may be subject to sniffing. Make sure you’re taking the appropriate steps to keep yourself safe and secure. Why am I getting limited connectivity at my local open wifi hotspot? - When you are connected to a wireless network, but cannot get to the internet, it's because an IP address has not been assigned to you. So how do you fix that? « Previous post: What’s the Difference Between “Plain Text” and “HTML” Email? Also worth noting, if the WiFi network isn’t public (i.e. it’s just a neighbor who didn’t secure it), it may be illegal for you to tap into it. Is it possible to purchase, in addition to the Add-In Card or USB Plug-In, something that will allow one to access the internet if you don’t live a couple of houses down from a public or private WiFi hotspot? Or is it possible for cell phone providers (Verizon, T-Mobile, etc.) to offer this type of service (not free, of course!)? Options are few. You can quite probably do something using a cellular data plan. Check with your cell phone provider. i have DSL in the next room…how do i pick up DSL signal in an adjacent room without the mess of cables? i need to know what hardware and/or software that is required for that. I am in a similar situation to the original poster, with a twist. I was connected to an ISP who had installed a directional antenna on my home and an Avaya Wireless USB card (802.11b) back in 2002. Well they went out of business this year and left the equipment, but even though I can see 10+ unsecured networks in the area, I can’t seem to get data through most of them. The strange thing is friends with laptops work just fine sitting in my home on the networks my epuipment doesn’t work with. Is the Avaya 802.11b too old to work with new providers, or is there some software setting that would fix the problem? Many of the unsecured networks were service providers(not public hot spots), and in order to connect to their site they needed to have your MAC address registered. The other thing of importance is that laptops put out a much stronger signal than desktops, so even though laptops connected right up, the wireless desktop adapters I bought (I tried external usb adapters and internal cards) could not get much of a signal and were unable to connect. My son’s laptop picks up a wifi signal from a hotel next door. What i would like to know if i use just a linksys wrt54g router and my desk top pc would i be able to pickup the signal. I live about 20 yards away. what you are suggesting illegal. wireless adapter for your desktop. Hello, I have a wireless router (Dlink) and my desktop used to be conected directly to a modem and the router was for the other laptops in my apartment. At my new place I am not connected to a modem anymore and have to connect to my landlord’s internet. Can I use this Dlink router or would I have to get a wireless adaptor? I’m not sure if these are the same things, that’s why I am asking. I noticed another post had a similar question but my friend said I should be fine with the router..although we don’t know much about this, haha. Hope you can help me. Your router should be fine. This for those who use others “wi-fi” hotspots. Here where I live in Florida it is totally ILLEGAL to use someone elses hot spot. I personally do not have WiFi myself, but my laptop tries to connect ( and sometimes does ) to my neighbors. Recently they arrested a number of people who were doing this. It can be traced, and at least here. It can land you in the pokey! Wow. I’d not heard of arrests (or jail time, for that matter) before, but I suppose it was only a matter of time. Illegal or not, depending on where you are, it’s at least unethical. i have a desktop and near a wi-fi modem . i want connect wifi with bluetooth . No. They’re two different, unrelated technologies. I just bought a new laptop. My neighboors have a wireless network and my laptop can access it. Will I be charged any money if I connect to my neighboor’s internet network and use it? Only if you’re doing it without their permission, and they try some kind of legal action against you. I have WiFi installed on my Desktop My roommate wants to connect to my WiFi how do I do this ? The WiFi is provided by your router, not your desktop. You would give them the router’s network name and the Network Security Key to log on to the network. 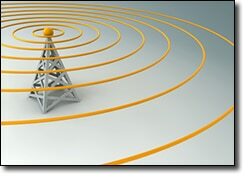 You probably want to look at this article: How do I get wireless internet? Hi, i was wondering if a Xbox 360 Wireless Adaptor would work instead of buying a usb port, because it does have a usb plug on it? I want to take my laptop on vacation with me. The hotel offers free internet access. What do I need for my computer to make this work ?? The same things described in this article, except you already have permission in this case. I’ll buy you 2 LATTE’s if you help me out. I have a 2-wire modem with AT&T 6 mb connection, i have a windows xp desktop connected hardwired to my modem, i have a macbook pro, connected wirelessly to the modem, however, whenever i am on, both at the same time, my internet gets disconnected, I play online games and i hate it when this happens. they have sent me (3) modems’ so I know its not the modem. do you know if they might be limiting my bandwidth? i have a desktop computer and was wondering how do i get it to have wireless internet the same way as laptops do. i have a wireless adapter installed and still cant get internet. do i need a wifi wireless adapater or something. i tryin overall not to have to spend money on internet service. My home computer is a desktop with a Broadband Modem thru Verizon. I also have a new laptop that has Wi Fi and I want to know what I need to buy so that I can share the connection that I already have with my home computer. Can I just buy a Wirless Router? Also my home computer has Windows XP and my laptop has Windows Vista. Will these be compatible, and can I make the 2 of them share the same connection? Any help you can provide me with would be most appreciated. My neighbors have offered to let me use there Ver..n internet service and I am paying for half the bill so it’s all good. However, can they monitor or in anyway see what I am doing? Is there any possible way for them to request from Ver..n a report as to what sites I visit? If not 100% discreet please let me know. I’d be shocked if the ISP saved or made available that information. However they may not need to contact the ISP – if they provide the physical connection (i.e. you eventually end up connecting throught their modem) then they could be watching it all, yes. If you have a Wifi card installed in a desktop, won’t the steel case affect its performance? Perhaps, but most have an external antenna outside the case in the back of the machine, and some even have a connection for an antenna you can place away from the machine. i have a desktop computer with windows xp. how do i get it to have wireless internet the same way as laptops do? i have a wireless adapter installed and still cant get internet. I recently bought a wireless adapter for my sons desktop. i have a netgear router connected to may main computer. I connected the adapter, got a signal and it says i am connected but when i try to pull up internet explorer it says the page cannot be displayed. help pls and ty. I bought a desktop pc with external wireless antena.This antena connect internet but slow and sometimes disconnected. How can i get it regular. So are you saying that if I buy the Compact Wireless-G USB Adapter from Linksys, I’ll be able to access wifi from the desktop. My laptop wifi works in the bedroom so I know I get wifi there. You mentioned two things to connect to wifi hotspot, but I only see one thing (wireless adapter). Is there something else? Correct – you should be able to add a WiFi adapter to your desktop. You’ll need to configure the system properly of course (which’ll depend on your specifics). The “other thing” you need is permission – which if you own the WiFi access point you have. I purchased a linksys wireless network adapter card and installed it in my desktop. I can get the internet (public wifi) for free which is great. However, the connection is unbearably slow. How can I speed it up? My laptop connects to the same network with 4 bars and is fast enough. I have put them side by side and there is still a difference so location isn’t an issue. Please help! will this adapter allow my desktop(XP) to share its active LAN with my daughters nearby laptop(VISTA), with internal wifi capabilility? More specifically, my desktop “transmitting” to my laptop. what is thw wifi range of normal wifi available in laptops…..???? hello, sir i have acer laptop which have wifi connection, i m getting signals of wireless connection but i cant configure to network, can you tell me how to configure it …plz help me ..
How would set up a wireless without a key? adhoc? Hello, I read the entire article but haven’t found my exact situation. I have set up a wireless network using a Linksys WRT54G-BP router. I have permission to connect to my landlord’s WIFI. What I found is that I can only be connected to one or the other – either the WIFI or my wireless network. Is it possible to connect to both? Thanks! Question about the last issue in the article… how do i secure my own information (computer)from being accessed or my information that is sent as well? I have used an open hot spot but have never had an issue as of yet (knock on wood). is there a program to protect myself from accessing the open hot spot? This article: How do I stay safe in an internet cafe? I have two computers. A laptop, and a Desktop. We need the desktop hooked up wireless. From our own connection. Im sick of having the cord going from one room to my own. Hi, I have a weird question. I want to connect the PC (which doesnt have wifi) to a wifi network. Wat i have is a nokia 5800 phone which has wifi. I wanna connect PC to 5800 using USB, and hook onto the wifi therafter. how do i go about it? Yes, you can connect you desktop to a Wi-Fi connection, as my desktop has a built in adapter & internal antenna for it. In fact, I use it (through my legit wireless router that I pay for) as my main connection. But regarding connecting to a legal hotspot or a neighbor’s connection, you best ask permission, or possibly face legal action. I pay with my own money for my high speed (7mbps) connection, and no one had better slow my speed because they’re a freeloader. It’s not like when walking by a house, or your next door neighbor has an apple tree, and it hangs over into your yard, the fruit is yours for the picking. Slow down my connection w/o my permission, you better get an attorney, and fast. It’s called stealing, no matter how anyone tries to justify it. The same goes as far as wireless phones are concerned, there are federal laws that apply to these actions. Mooch off of a service that I pay for, you will pay a lot more in the end. Charles….it’s not stealing if the connections are open. Everyone has the option of securing their connection with a ten digit WEP or WPA security code. If you elect to not do that then you are allowing it through implied consent….no crime. If you have a key and it gets stolen or hacked then the law has been broken. I am not a lawyer, but I do not believe that your statement is true. That’s like saying it’s ok for people to come into your house uninvited if the door is unlocked. An open WiFi does not imply consent, IMO. You said “first the easy part”… what’s the second or third part if any?. Charles, chill out. Making threats doesn’t make for friendly conversation. If you don’t have a secure wifi connection, why? If your unsecured wifi is leaking out all over the place, how will you know who is using it? I, also, am not a lawyer, but I’d be willing to bet that comparing using someone’s wifi without permission to walking uninvited into your house won’t work out for you in court. Just make sure you’re connection is secured. Save yourself from a lot of useless stress and useless lawyers. I got a refurbished Dell laptop that was “Internet ready” for my ward, I am his payee, he is disabled. I took it to Seattle Laptop and got the max memory for it then took it home here to setup for him. I was surprised that it had no problem finding a lot of free Internet selections so I bought a Edimax wifi card for my Dell Dimension 8300 and an antenna for it. I could get Linksys on it but when I disconnected from Comcast I couldn’t connect. Any suggestions? thank u so much it really help me a lot your so kind. Gb! Actually i wanted an external usb wifi device,, so that i can attach the antenna to wall outside ma window, n get the connectivity inside ma room.. coz i get network outside ma room n not inside ma room.. can i get the usb cable i mean of a larger lenght for it? There are USB extension cables that you could use. how much a usb device will cost ? It’s not it being a desktop that would make a difference – it’s the quality of the wireless card you’ll get for it, as well as the quality and location of the antenna that it will use. If you can connect the antenna external to the RV somehow that could help a lot. I have a wireless internet connection for my laptop already in my home. But I am getting a new desktop, How do I use the wireless connector, for my desktop? Do I have to buy a new modem? What do I have to do to connect to the internet? You just need to get a wireless network adapter for your desktop. That can be an expansion card you install inside, or any of the USB WiFi adapter. I have internet in my house, from a service for my laptop. What new hardware do I need to connect my desktop? No way for me to know without knowing what you already have. Try this article: How should I set up my home network? We already have the wireless router. But I wanna connect it to my desktop. I’ve tried to read the instruction. And it’s no use. What should I do??? If the article doesn’t help I’m not sure how much clearer I can make it. As outlined in it you need to add a wireless adapter to your system. pls kindly help me on how to connect desktop to the internet for free.i want abroadband connection of about 400MB/sec over long distances.pls help i have spent money and i aint gat solutions. sir how can i use wi-fi in my dextop. and i m having wi-fi of broadband. but im not useing. Sir, I have my loptop with modil 5100 Dill so i have a blackberry modil 9100 i want to use the remoe controll. My mobile has an option that i have to establish a WiFi connection then i can use the remote controll. Now i want to help me how can i find and use that ? are usb longrange adapters any better thanthe built in acer Nplify802.11b/g/n or a waste of money. hello sir , im venky & im having hp compaq nx6310, laptop & i want to know , how to connect wlan internet to laptop. right now i am having motoraker e6 mobil & i connected net through airtel g p r s via bluetooth. need a long range usb wifi adaptors! HI, I have a lenova laptop and samsung wifi enabled mobile. i want to connect to internet using my laptop through my wifi internet on mobile. How can i do that …I tried to but not able to connect..
you will realise that it was very easy if you had a laptop.wy dont you get yourself one? simply get a wireless network adapter for less than $10 and simply mount it on the pci slot! and there is that message:new hardware detected. Drive it and you are good to go. The links only take me to the cisco website. I don’t know what I’m looking for so from there I’m a little stumped. Could you update the links? In the article you started with “You need two things to connect to that local hotspot – one you can probably buy at any computer store, but the other might be harder to come by.” I get the USB plug in but I guess I’m blind and can’t find the other thing mentioned. What was the second thing? A router? You’re right, it does look a little unclear. The second thing is being within range of the WiFi signal. I need to conect my computer to the internet & have wireless in the house at the same time. How can I have both at the same time with only one internet box fr the cable company? You need to set up a home network: How should I set up my home network? Can u tell Can this Work for me or not and which hardwear i need to Install on my desktop to use my wired cable net i.e Pacenet i have a wired net (pacenet) in my desktop i want to share this net on my wifi enable phone so how to configure my desktop to use the pc’s net in my mobile ? and which wifi chip i needed to install externally in my desktop so i can use it is wifi hotspot ?? You’ll need a wireless adaptor of some sort on your daughter’s desktop. Leo explains it just under “You can add a wireless adapter to your system” in this article. I think you could also just use the connector from your phone and plug straight into a USB port to get online. I can do that with my smart phone at least. Try that first. Otherwise a USB wireless adapter will do the trick. If the USBN Wireless Network Adapter is connected to you computer, then no. You don’t. You connect the router to the internet following the instructions which came with the router. Then you connect your computer and iPad to the router either wirelessly using the router name and password on the router’s case or documents which came with the router, or you can plug the computer into the router with ethernet cables and it should simply work. It’s also a good idea to change the router’s password. Instructions for that should also come with the router. Hi, I am wondering if you could help me that how could I connect my desktop to my router with out physical connection. Read the article you commented on again. It has the answers! Cant I use my phone as a modem ??? Many smartphones have that capability. Check the settings and see if it can. If you mean your mobile phone, you need to contact your mobile provider. Leo, I’ve just moved to a new state. In my former home, my desktop computer was DSL connected to the internet. I also had WiFi for my laptop, cell phone, etc. In my new home, I have broadband WiFi and my cell phone and laptop are happily humming along using the broadband WiFi. I now want to connect my desk top computer (uses Windows 7) to the wireless features in my new home, to minimize cords, etc. After reading your helpful responses, I think I need to install a wireless adapter USB plug-in or an expansion card…. Because the desktop wasn’t designed to function as a wireless computer. I’m not tech savvy, but that’s my understanding of the problem. Is that correct? And where do I purchase an expansion card or the wireless adapter USB? The USB would be the easiest for me to use. I’m apprehensive about a card and figuring that out, unless it slips into the front of the tower like my photo card does. Thanks so much for your excellent help! The desktop doesn’t have to be :”designed” to be wireless. It just sees a network connection. That it happens to be wireless instead of wired is actually irrelevant, other than making sure the appropriate device is installed an has its drivers installed as well. There’s tons of options. It could be as small and simple as this: http://go.askleo.com/ama/B008IFXQFU if you’re close to the access point, or something along these lines: http://go.askleo.com/ama/B00AVSRLTO if a bigger/better antenna could help. I had cricket broadband hook to my PC for the last 6 years, now we just got a ZTE Z288L Mobile Hotspot from Straight Talk. Do I need something between the PC and the Hotspot? Thanks! I live in a building that has wifly how can I get that in my room on the 13th floor. I have their permission to do so. It depends on how many floors down the wireless router is located. It probably wouldn’t work if it’s much more than a couple of stories away. You can use wireless or wired extenders, but you’d have get some extra permissions for that. A wireless extender would only gain you a couple more floors of coverage. Hi sir, I want to know if someone is using my broadband remotely without my knowledge how should i check the usage done by other from my PC or router. I’ve one desktop .how can i connect with my mobile hot spot. You can get a USB Wireless adapter. Assuming you have your neighbors permission of course: there are Wi-Fi adapters you can get for a PC. Typically a USB Wi-Fi adapter is the easiest to deal with. What if I have a hot spot from my cell phone? If I buy an adapter can it connect from my cell? We just moved and are a week without I found an adapter for 10 dollars I bought my daughter a game that can be pled offline but not downloaded offline. I have bought a wireless adapter but when I put it in to connect It keeps saying detecting apapter .Do I need to do more than install the adapters cd. Any heelp appreciated newbie. I can use computer,cell and laptop in the other rooms of the house. But my room will not pick up anything. What can I use in here? You can use a Wireless Access Point to extend the range of a network. A laptop can access the internet through a smartphone via USB cable by a process called tethering. Most smartphones also alow internet access via WiFi. Some carriers block that feature unless you pay more. You can google tethering along with your phone and carrier name to see if and how that can be accomplished. Step one would be to ask their permission, of course. With that then the next step depends on what kind of computer setup you have.